Paul Bradshaw is an online journalist and blogger. He leads the MA in Online Journalism at Birmingham City University, was a visiting professor in online journalism at City University London and is working with the BBC to establish a new regional data unit. With a background in magazine and website management, he is best known as the publisher of the Online Journalism Blog and the founder of the award-winning investigative journalism crowdsourcing site Help Me Investigate. Paul was listed on both Journalism.co.uk's list of leading innovators in media, and the US Poynter Institute's list of the 35 most influential people in social media. He was once ranked the UK’s 4th ‘most visible person on the internet’ by NowPublic, and the UK's 7th most influential UK journalist on Twitter by PeerIndex. Paul is the co-author of the Online Journalism Handbook with former Financial Times web editor Liisa Rohumaa, and of Magazine Editing (3rd Edition) with John Morrish. He has contributed chapters to a number of books including the second edition of Investigative Journalism, Citizen Journalism: Global Perspectives, and Ethics for Digital Journalists. 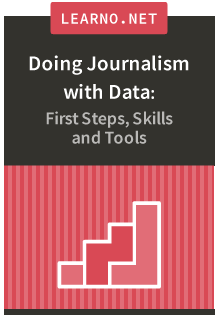 He has also branched into ebook publishing with the publication of Scraping for Journalists, The Data Journalism Heist and Finding Stories in Spreadsheets on Leanpub.com. In addition to teaching and writing, Paul acts as a consultant and trainer to a number of organisations on social media and data journalism, including the Centre for Investigative Journalism, the Balkan Investigative Reporters Network, Sky, Trinity Mirror, Haymarket, Open University, UBM, Reed Business Information, Mirror.co.uk, Press Association and Telegraph. You can find him on Twitter @paulbradshaw.